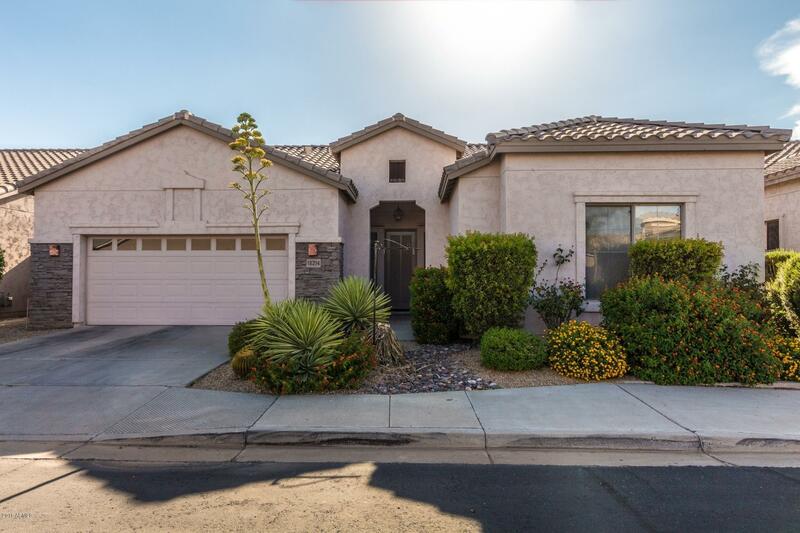 Welcome to this updated 3 BEDROOM home in prestigious BELMONT AT TRIPLE CROWN - a highly desirable GATED COMMUNITY in North Scottsdale. First thing you will notice is the OPEN FEELING provided by the 10 FOOT CEILINGS and the tall oversized windows that look out at one of the largest back yards in the community. NEW PAINT, STAINLESS APPLS, SUBWAY TILE BACKSPLASH, RECESSED LIGHTING AND NEW BATH FIXTURES. Inviting WOOD LAMINATE FLOORING compliments the stylish GREY-TONE PAINT. The SPACIOUS kitchen has tons of cabinets. Both bathrooms have DUAL SINKS and the Master Suite has a large WALK-IN CLOSET. The community offers HEATED POO & SPA, GYM, 2 playgrounds, a greenbelt & ball court. Located close to Mayo, Desert Ridge Mall with easy access to the 51 and 101.